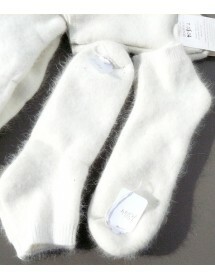 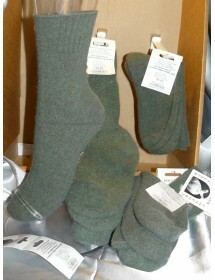 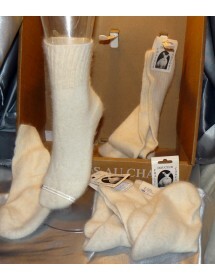 These socks Angora wool and are very comfortable and soft, easy care, machine washable at 30 °, avoid the dryer. 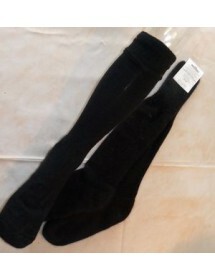 These socks have a soft elastic that does not compress the leg. 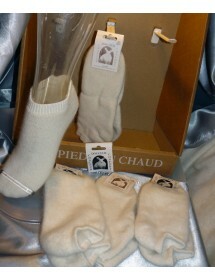 100% French manufacturing . 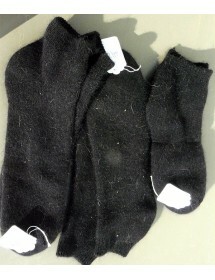 Socks Composition: 34% Angora 34% Merino 29% Polyamide 3% Elastane Socks size: 35-36 to 45-46 Machine wash wool program or hand wash.